Over the past few years, American new-car shoppers have been moving away from traditional passenger cars in greater and greater numbers. While sales of midsize sedans decline at a precipitous rate, sales of small crossovers are increasing rapidly. 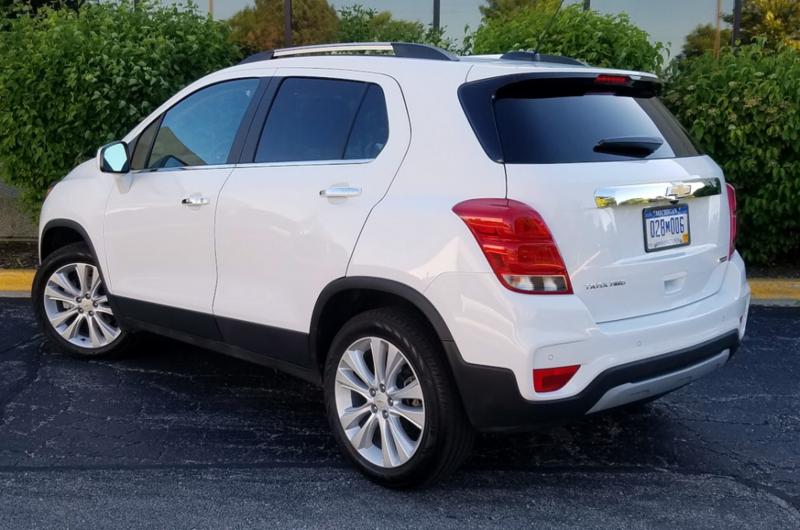 In Premier trim, Trax comes standard with 18-inch aluminum wheels, heated outside mirrors, and keyless entry and starting (complete with power lock/unlock buttons on all four exterior door handles–a great feature at this price point). For the 2017 calendar year, the Camry will no longer be Toyota’s best-selling product—instead, the RAV4 compact crossover will. Similar leader-board changes are taking place all over the auto industry. But along with compact crossovers such as the RAV4, Honda CR-V, and Nissan Rogue, a growing crop of even smaller crossovers is gaining traction. We call this group subcompact crossovers, and these pint-size utes are attracting plenty of buyers who find appeal in their easy-to-park dimensions, good fuel economy, and useful cargo areas. Even in top-line Premier form, the Trax’s cabin is outclassed in ambiance by its pricier Buick Encore cousin and the top trim levels of some class competitors. We appreciated the easy step-in seat height and comfortable seating positions front and rear, but the cabin is narrow enough that some plus-size adult occupants might feel cramped side-to-side. Chevrolet’s refreshed-for-2017 Trax is one of the best-selling subcompact crossover models; it ranks fourth in sales in the category, behind the first-place Jeep Renegade, runner-up Honda HR-V, and third-place Buick Encore. 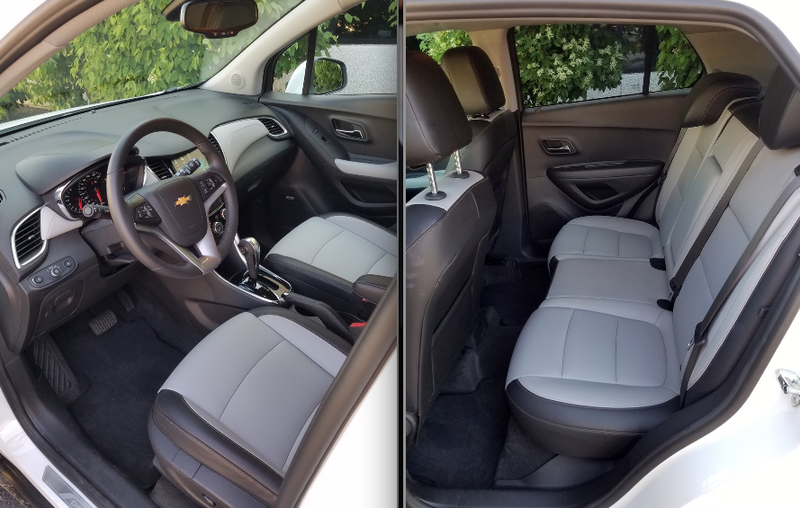 Many subcompact-SUV competitors trump the Trax when it comes to cargo versatility; the front seats must be adjusted forward for the rear seatbacks to fold completely–bad news for tall front-seat occupants. All Chevrolet Trax models are updated for 2017 with revised styling inside and out, along with available keyless entry and starting, Apple CarPlay/Android Auto connectivity, forward-collision alert, blind-spot alert, lane-departure warning, and rear cross-traffic alert. 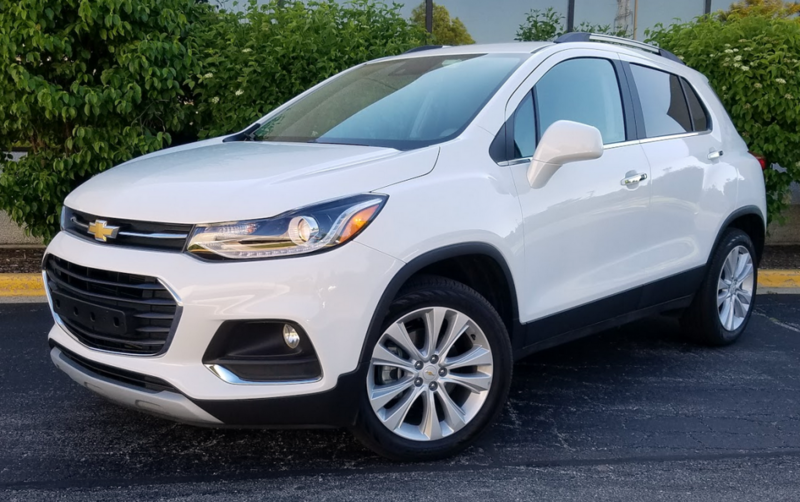 Our Trax test vehicle was equipped with all of the above features—it was a topline Premier model outfitted with the $295 Driver Confidence II package, which adds forward-collision alert and lane-departure warning. (Note that the Driver Confidence II features become standard on Trax Premier models for 2018.) Including the $895 destination fee, the bottom line on our test vehicle was $28,790. For the most part we found the Trax to be a likeable little crossover, but not without its faults. The cabin is decently finished, but can feel narrow with two large adults in the front seats. Rear-seat space is at least on par with other vehicles in the class, but side-to-side space is again limited. Underway, the Trax feels strong enough. The 1.4-liter turbocharged engine produces 138 horsepower, and mates nicely to the 6-speed automatic transmission. While it produces sufficient power, the engine is rather loud during acceleration, and doesn’t sound especially refined. Though it’s occasionally noisy, the Trax is fuel-efficient. Our test vehicle returned a solid 27.1 mpg in driving that favored city use. Careful drivers in less urban environments should expect to see closer to 30 mpg. The Trax’s road manners are quite good for a short-wheelbase, small-footprint, tall-bodied vehicle. The handling is pleasingly nimble, with nicely weighted steering and well-controlled lean in corners. Thanks to its tidy overall length and tight turning radius, Trax is a snap to park, even in tight quarters. One significant demerit is the second-row seatback arrangement. While there is a generous amount of cargo space behind the second-row seatbacks, folding the seats flat to extend the rear cargo area is problematic. To free up sufficient space to fold the second-row seatbacks flat, the front seats need to be moved far enough forward that some of our taller staff members couldn’t comfortably fit behind the wheel in the driver’s seat. 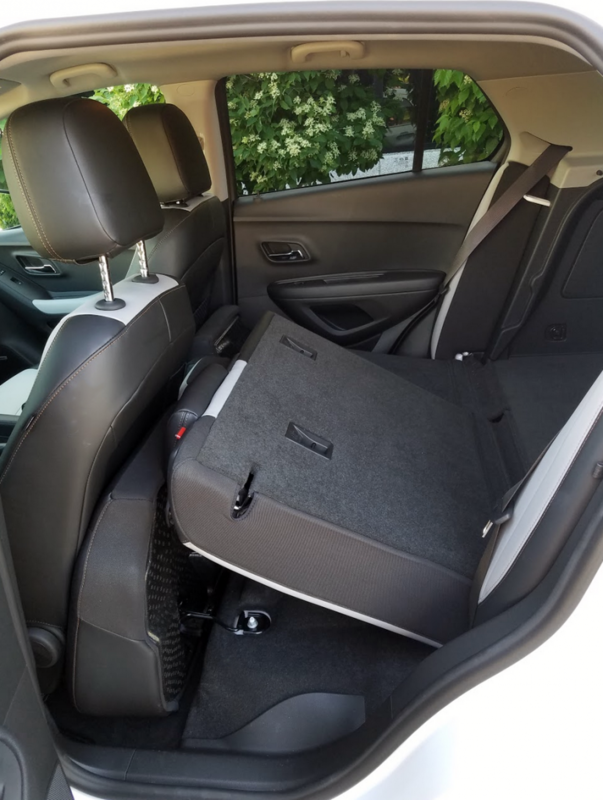 Shoppers intending to make full use of Trax’s cargo capacity will want to experiment with the seat/cargo-area configurations before committing to purchase. Of the best-selling subcompact crossovers, the Buick Encore is easily the quietest and best finished, the Jeep Renegade is the roomiest and most off-road capable (when properly equipped), and the Honda HR-V is the most cargo practical. Credit Trax for feeling sporty and going easy on the gas. It’s not without its shortcomings, but the 2017 Chevrolet Trax offers pleasing road manners and a good selection of safety and technology features in a tidy, easy-to-park package. Written by: The Daily Drive staff on October 10, 2017.on March 22, 2019.